Love to loaf around? Read on. You know those products you see online that you know you don't need, but you absolutely want? We just found one: a pillow that looks exactly like a baguette. If you're unfamiliar with baguettes, they are long, thin loafs of French bread. Carbs in one of their most delicious forms. And now, you can lay your head on one at night (you know, without getting breadcrumbs in your hair). The novelty pillow is available in three different sizes: 11.8 inches, 23.6 inches or 31.5 inches. It is made of plush and cotton and it has a zipper closure, which allows you to add more stuffing if you desire. Pulling this out during a party is certainly one way to make your guests laugh. It also makes an excellent gag gift for your friends or family. 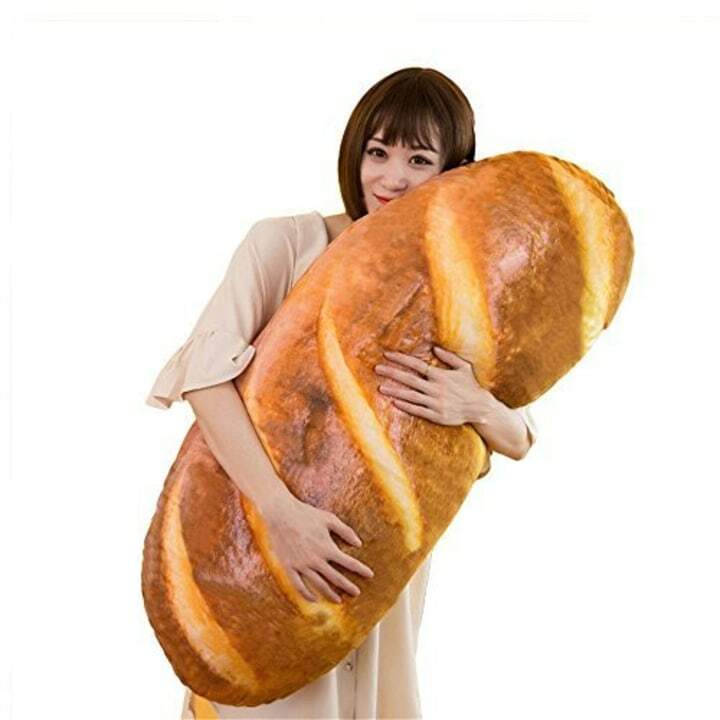 Although some reviewers noted that it was a little small, most people seem to be very satisfied with the baguette pillow. "Everything I expected," one reviewer wrote on Amazon. "Very realistic. Big hit for my teen daughter on Christmas." Another shared, "Finally you can fulfill your lifelong dream of falling asleep on a giant pillow made of bread!" Honestly, that sounds pretty amazing. Add that to our list of random stuff the world never needed, but for some reason is still obsessed with — including Christmas light phone chargers, slime-pooping unicorns and lifelike dog slippers.